Global stock markets have seen a remarkable turnaround so far in 2019 from their lows in December. Two consecutive calendar quarters have rarely been so different in market sentiment or performance. The S&P 500 index plunged by –13.5% in the fourth quarter of 2018 on fears of an impending recession and concerns about a policy mistake by the Fed. Those worries have since dissipated as the index soared by +13.6% in the first quarter of 2019. In early April, equity indices have climbed back to within striking distance of their previous all-time highs. 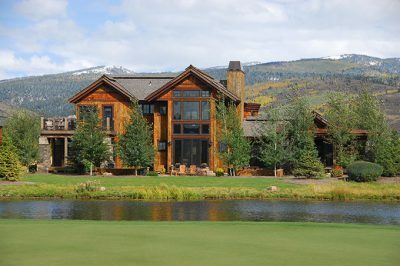 The ski chalet in Aspen. The mansion in the Hamptons. The family compound that’s hosted generations for the holidays. Although certainly sentimental, these pieces of real estate may not hold the same value to dependents. 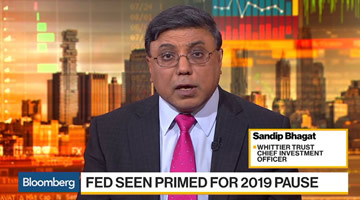 As U.S. markets have sold off, Sandip Bhagat explains how the Fed — with its commitment to raising rates — is not being restrictive to the economy but what might push the central bank to slow its hikes. 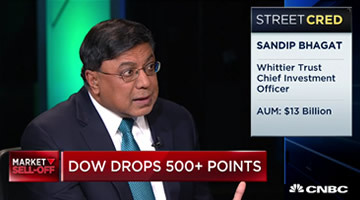 Whittier Trust’s Sandip Bhagat joined CNBC’s “Power Lunch” in New York on a day when the major U.S. indices gave up their gains for 2018 to emphasize that slower U.S. growth isn't the end of solid returns for long-term investors. While we saw uniformly stronger growth around the world in 2017, we now observe divergent regional growth trajectories. On the heels of fiscal stimulus and deregulation, the U.S. continues to dominate the growth story. The rest of the world has struggled to sustain last year’s momentum for a myriad of reasons. We examine the more notable drivers for this divergence below. They played geniuses on television, and they’re clearly talented actors, but there’s a big challenge ahead for the cast of the hit TV show The Big Bang Theory: what do they do next? With millions in their respective pockets, the choices are nearly limitless. After an abnormally calm and placid 2017 in the global equity markets, a higher and more normal level of volatility has resurfaced in 2018. The year got off to a good start as the momentum from tax cuts pushed U.S. stocks higher by 8% in January. 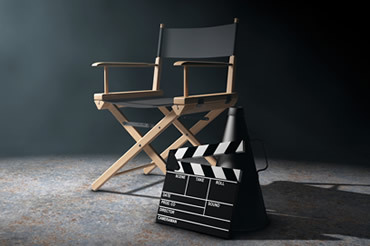 Investor focus shifted in early February to an uptick in inflation, a steady rise in interest rates and talk of tariffs and trade wars. Stock markets corrected by about 10% in February, retested those lows in March and have gone sideways in recent weeks. 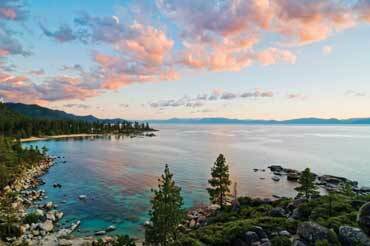 Let’s Talk About Nevada. Thirteen. Ten. Five. That’s not the start of a riddle, but a sampling of some of the West Coast’s state tax brackets. Government coffers are really filling up with an increasing portion of your hard-earned dollars.